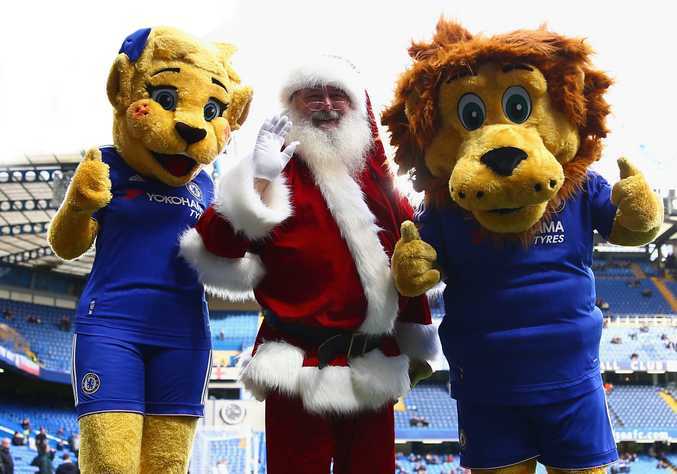 Santa has paid a visit to see embattled Chelsea, but will he bring the reigning EPL champions any good fortune for Christmas? IT'S that time of the year again and the man with the big white beard will soon be bringing most of us what we desire for Christmas. So with just a few days to go before Santa arrives Down Under I am sending him my annual wish list for football the world over. I have a few requests for you so we can try to stop our beautiful game turning ugly. 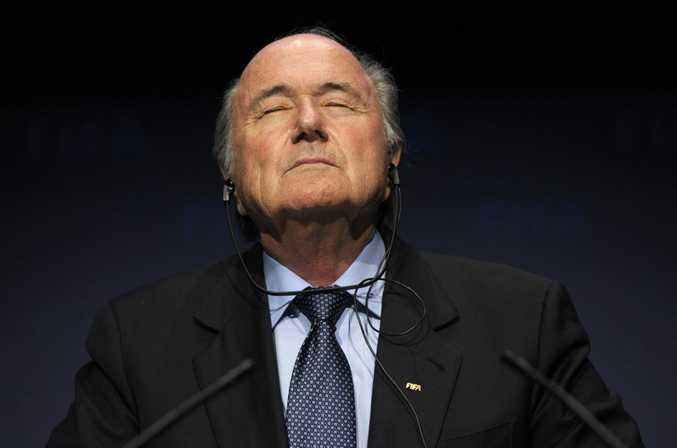 We have to start at the top and that means Sepp Blatter, Michel Platini and FIFA. It has been a bad year for all three, but they all have the chance to make things better for the world game. Santa can you please make Mr Blatter and Mr Platini give up their jobs without a fight so the world's governing body can move on from corruption allegations that have dogged the code in recent years. If they both believe they have only been doing their best for FIFA, then they should also realise time is up for them and the game needs someone else at the top. Also, please send a note to Russian president Vladimir Putin who somehow believes Blatter deserves the Nobel Peace Prize. I know Mr Putin has some strange ideas, but this really is up there with the worst. Over in the UK, managers are getting the sack more often than you Santa, and I reckon it has to stop. I know football is a results-driven business, and both Chelsea and Swansea City have been struggling to get good ones, but it is not always down to the manager. The players have to take some of the blame. So my wish from you is that both Jose Mourinho and Garry Monk get new posts sooner rather than later as neither deserve to be jobless at Christmas. Talking of managers under pressure, can you please get a message to Man United boss Louis van Gaal. He needs to take a leaf out of Leicester boss Claudio Ranieri's book. Ranieri does everything with a smile on his face, and that includes press conferences. Maybe if van Gaal relaxes a little that might get through to his players and they will start playing like the Foxes who have been a breath of fresh air in the English Premier League this season. Dropping down a division, can you please get the powers-that-be at Leeds United to treat their fans a bit better. None of them should have to pay an extra $10 a season for what has been called a "pie tax", even if it does include a pie voucher. I have eaten a few pies at football grounds across Britain and I reckon fans should be paid for eating such rubbish, not have to pay extra. Finally, on a personal note, can you please see to it that England has a decent European Championships next year in France. Winning the tournament would be great if you could arrange that, but if that's even too hard for you, please make sure Wayne Rooney and Co do themselves justice, especially against Wales.